Welcome to Atlanta! Whether you've lived here for decades or are planning your first visit, we are here to help. This incredibly vibrant city is full of culture, Southern hospitality and attractions for every personality (not to mention delicious restaurants and outstanding hotels!). And just as there's never been a better time to live in Atlanta, 2015 is one of the best years in history you could come visit Georgia's capital city--walkability is increasing every day thanks to projects like the BeltLine, the new Atlanta Streetcar and improvements to MARTA, plus Atlanta is actually America’s most accessible city with direct, non-stop service to more than 155 U.S. destinations. So it couldn't be easier to get here! The only question is: what will you do when you arrive? To help you get started, we've a handful attraction guides organized by category. Click on Page 2 for ideas on free things to see and do, affordable attractions, money saving tips and more! How To Save on Atlanta Attractions: Follow our easy tips to save BIG on your next visit to the Georgia Aquarium, Zoo Atlanta, the World of Coke and the Children's Museum. ​Click through to Page 3, where we've also provided some fun suggestions and a general overview of all Atlanta has to offer for your next visit. Of course, you could stick with the tried and true favorites, like The Georgia Aquarium (the world's largest aquarium), The World of Coca-Cola, The CNN Center, Zoo Atlanta and the renowned High Museum of Art. History buffs have long loved attractions like the Atlanta History Center, Martin Luther King Jr. National Historic Site, Oakland Cemetery, the Jimmy Carter Library and Museum and Fernbank Museum of Natural History. Or you could check out some of the city's latest and greatest attractions, like the Center for Civil and Human Rights and College Football Hall of Fame. Atlanta has long been home to incredible markets, like the Buford Highway Farmer's Market, Sweet Auburn Curb Market and Dekalb Farmer's Market, but the city has also recently welcomed newcomers, like Krog Street Market and forthcoming Ponce City Market. We've got theaters, entertainment venues and stadiums galore, whether you want to catch an off-Broadway show at Fox Theater, see a play at Alliance Theater or hit up a concert at Philips Arena or Chastain Park. Likewise, there's almost always a game on between Turner Field, the Georgia Dome, the Atlanta Motor Speedway or Georgia Tech’s old ThrillerDome. Atlanta's shopping is some of the best in the country at Lenox Mall and Phipps Plaza, especially with recent additions of Buckhead Atlanta and The Avalon. 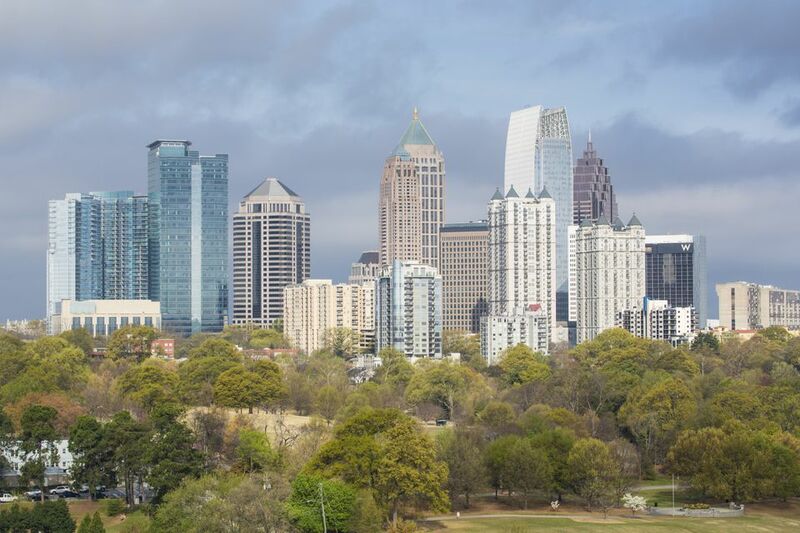 Though if you'd prefer to spend your day soaking up the sun, you can always hit up Piedmont Park (Atlanta's answer to Central Park) and Centennial Olympic Park or the Atlanta Botanical Gardens. You can hike Kennesaw Mountain or Stone Mountain Park, walk The BeltLine or Shoot the Hooch, and families love spending an afternoon at Six Flags Over Georgia. Don't miss our guide to Atlanta's lakes and beaches for water fun. Or you can eat your way through the city--Atlanta is home to hundreds of incredible chef-owned restaurants (we had nearly a dozen James Beard semifinalists this year)--and be sure you don't miss the ethnic mecca that is Buford Highway. Atlanta's unique neighborhoods are ripe for exploring, whether you prefer edgy Little Five Points, charming Inman Park, the trendy Westside or quirky Decatur. There's a handful of incredible tours, like Atlanta Movie Tours, ATL-Cruzers Segway Tours and Atlanta Food Walks, to help lead the way!